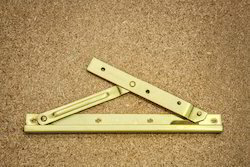 Leading Manufacturer of window friction hinges, 2 bar friction stay, 4 bar friction stay, brass 2 bar stay, brass windows hinges and casement window hinges from Coimbatore. 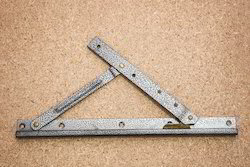 We are one of the well-known manufacturers, suppliers and traders of Window Friction Hinges. The offered un-plasticized poly vinyl chloride window friction stay is specially designed and fabricated to allow the opening of window shutters. Our supplied un-plasticized poly vinyl chloride window friction stay is resistant to damages from water and moisture, owing to the steel alloy fabrication. stainless steel. Easy to fit to new or replacement windows. We looking for the Delarship and Authorized Distubutors in Tamilnadu and Kerala. We are one of the well-known manufacturers, suppliers and traders of4 Bar Friction Stay and Door Hinges. The offered un-plasticized poly vinyl chloride window friction stay is specially designed and fabricated to allow the opening of window shutters. Our supplied un-plasticized poly vinyl chloride window friction stay is resistant to damages from water and moisture, owing to the steel alloy fabrication. • The mechanism requires a certain level of strength and dexterity to operate and two hands are required to co-ordinate opening, giving added protection. There are two stack heights, 13mm is standard stack height, 17mm is known as high stack. 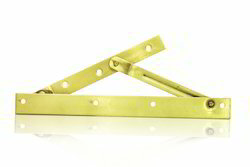 Standard stack height friction stay hinges can be made into high stack ones by adding special packers which we supply. Friction Hinge LengthThere have been many different makes and models of friction stay upvc window hinges but as long as the replacement pair is of the same length, track width and stack height as the originals then they will suit the window to be repaired.It is possible (and involves no more work) to change the type of hinge fitted e.g to fit restricted hinges when the original hinges were standard. New screws are also available. We are one of the widely acclaimed manufacturers, suppliers and traders of Casement Window Hinges. The offered window hinges is available in multiple variants such as sliding hardware style and openable window hardware style. Our supplied window hinges is made from superior grade iron alloy material, to ensure long lasting service and durability. We are one of the leading manufacturers, suppliers and traders of Window Stay Hinges. The offered window stay hinges is specially designed to make the window stay hinges open, for allowing fresh air to enter the closed premises. 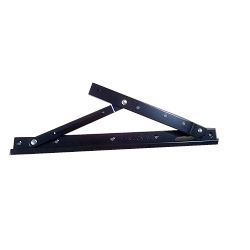 Our supplied window stay hinges is highly appreciated for being corrosion resistant and durable. 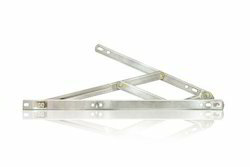 The offered window stay hinges is easily available at very affordable market rates. Looking for Window Hinges ?